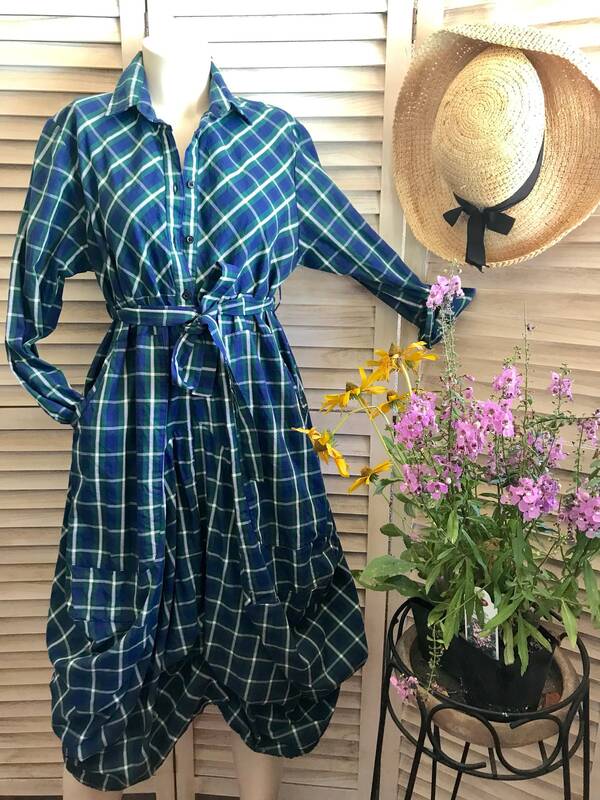 This dress is my best selling body. 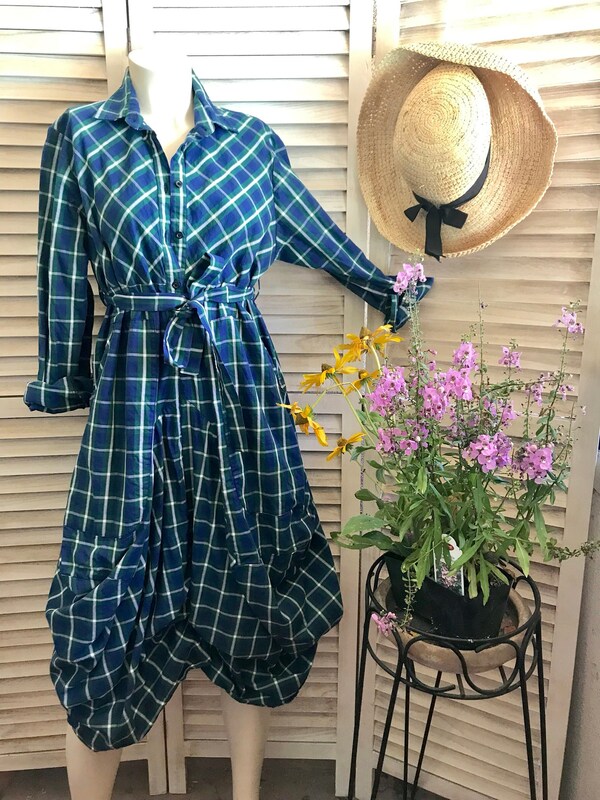 The skirt portion is the same as my lagenlook skirt with the big pockets. 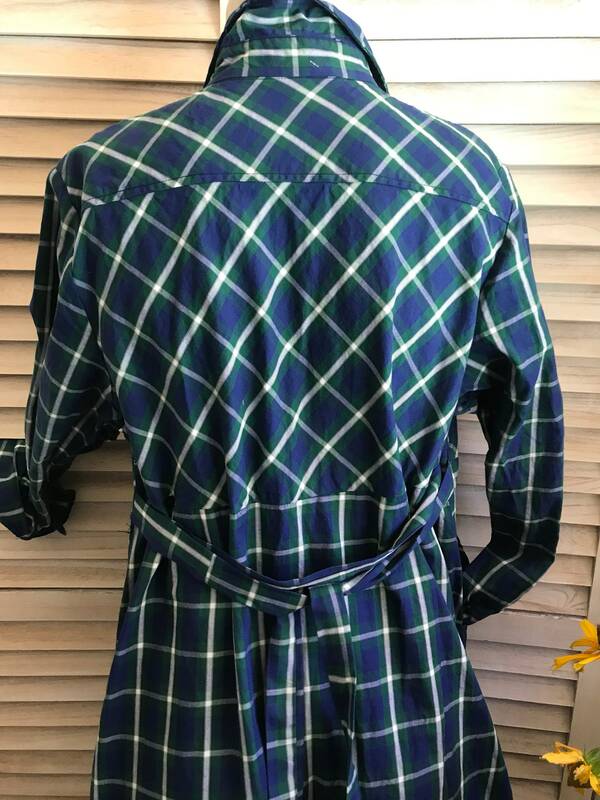 It ties up at the hem to give it a different look but if you need more length you can untie it. 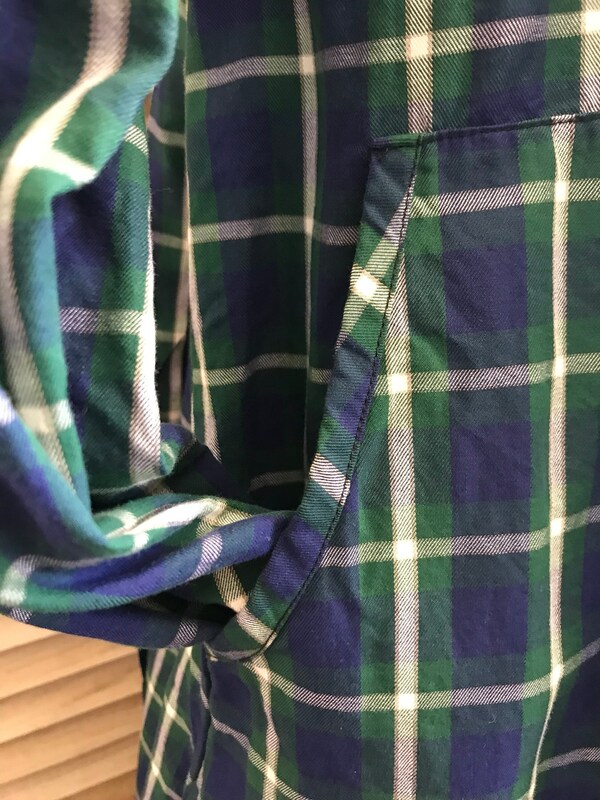 Huge pockets in the front and the sleeves look best rolled up. 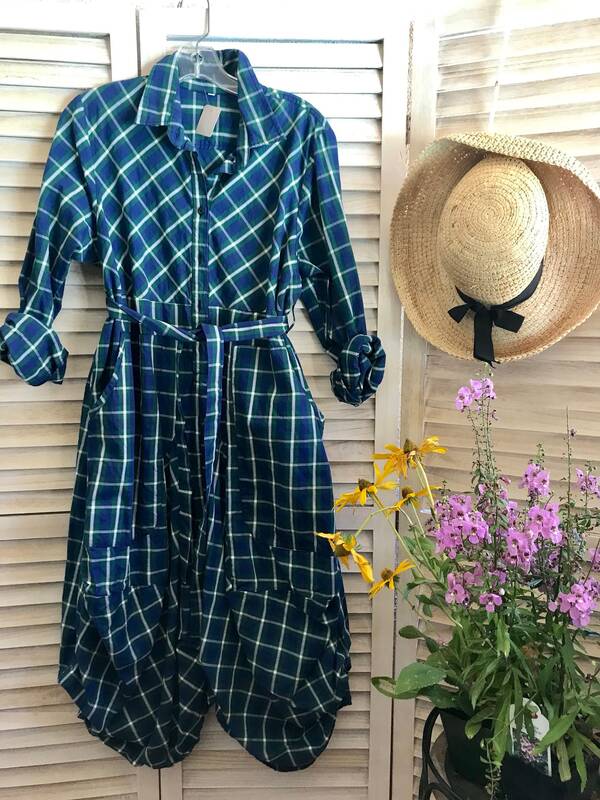 You can wear this to work or out for lunch but it’s still super casual and comfortable. 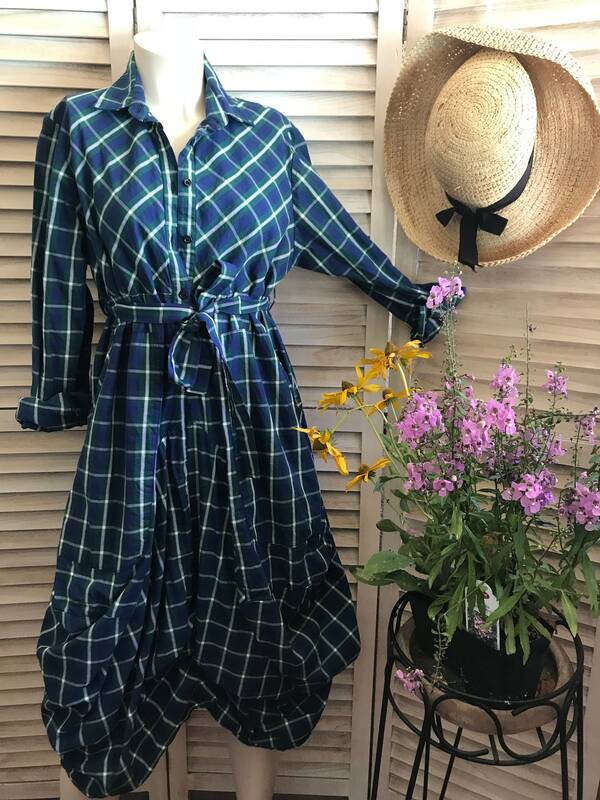 This one is a size small and it fits a size 6 to a size 12 easily and it is proportioned for someone that is 5’”4 or shorter. 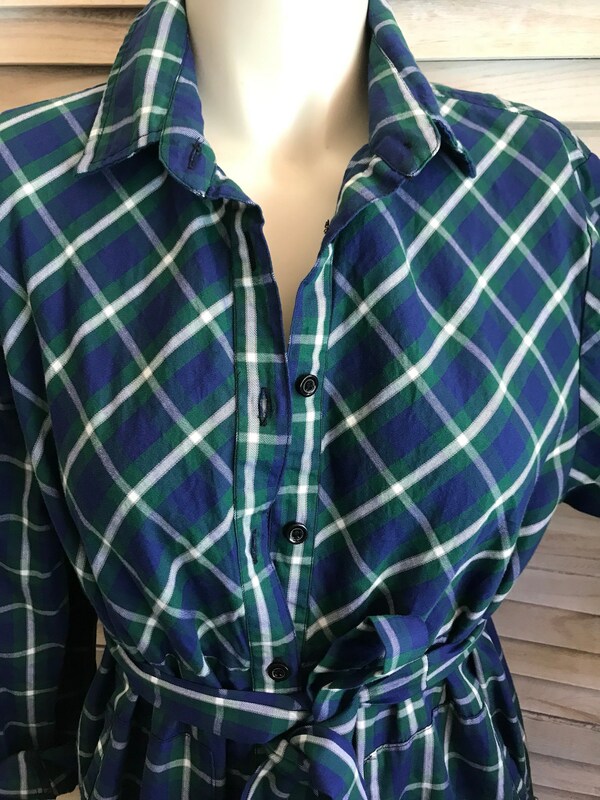 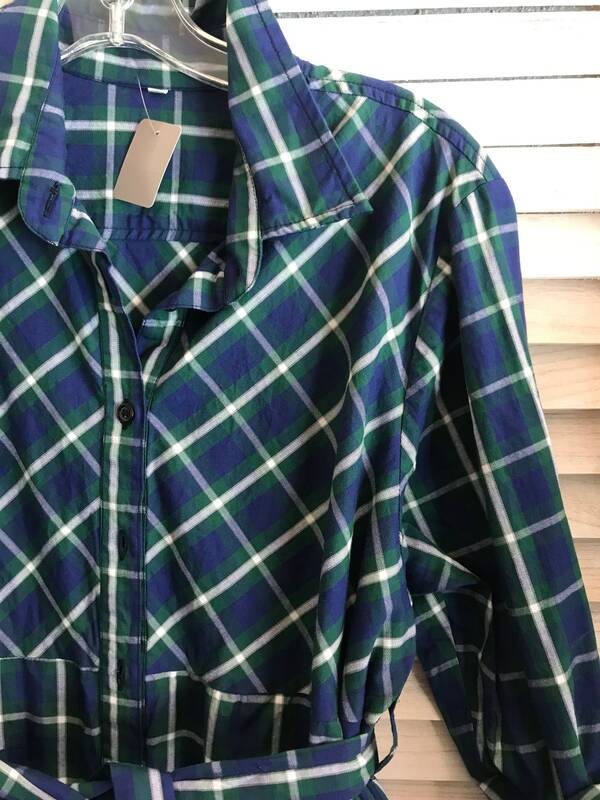 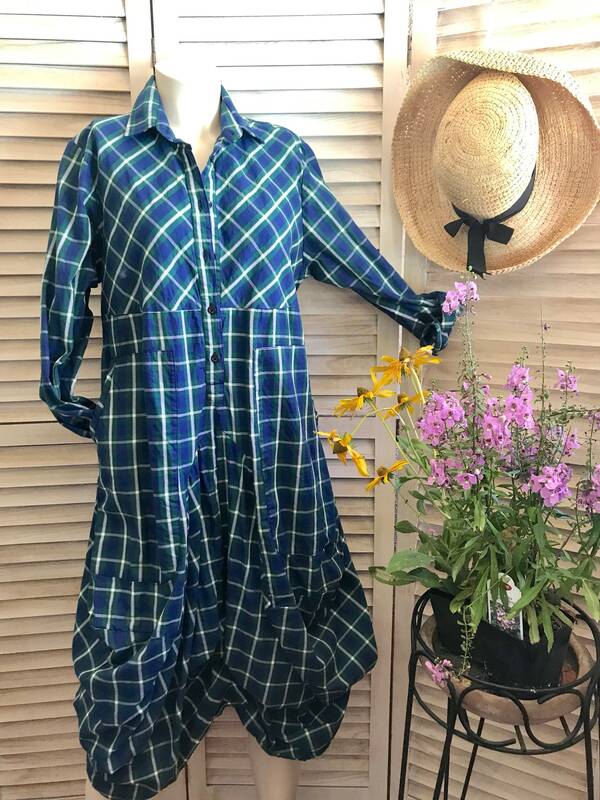 Cotton shirting fabric in green and navy plaid and it is a one of a kind dress.